Muscles and Movement - Welcome to The Frog Pad! 11.2.1 State the roles of bones, ligaments, muscles, tendons, and nerves in human movement. 11.2.2 Label a diagram of the human elbow joint, including cartilage, synovial fluid, joint capsule, named bones, and antagonistic muscles (biceps group and triceps group). 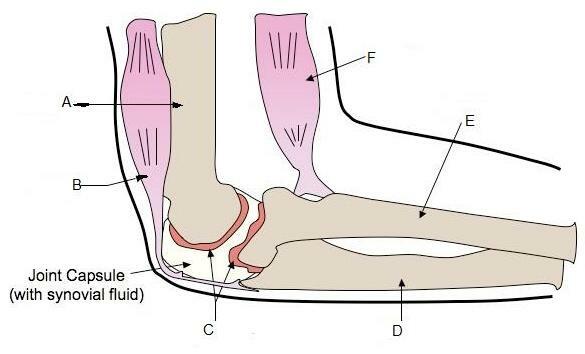 11.2.4 Compare the movements of the hip joint and the knee joint. 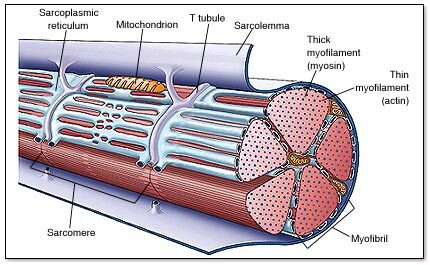 11.2.5 Describe the structure of striated muscle fibres, including the myofibrils with light and dark bands, mitochondria, the sarcoplasmic reticulum, nuclei, and the sarcolemma. 11.2.6 Draw and label a diagram to show the structure of a sarcomere, including Z-lines, actin filaments, myosin filaments with heads, and the resultant light and dark bands. 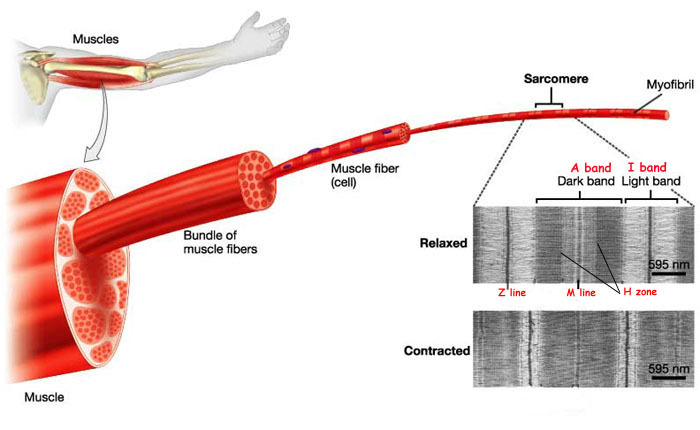 11.2.7 Explain how skeletal muscle contracts including the release of calcium ions from the sarcoplasmic reticulum, the formation of cross-bridges, the sliding of actin and myosin filaments, and the use of ATP to break cross bridges and re-set myosin heads. 11.2.8 Analyze electron micrographs to find the state of contraction of muscle fibres. 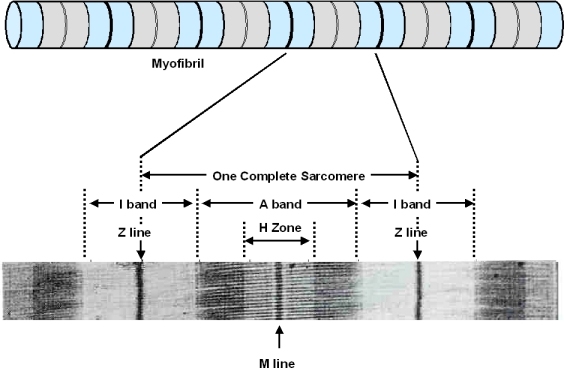 M-line - band of connections between myosin filaments (mediated by proteins, e.g. myomesin, M-protein).